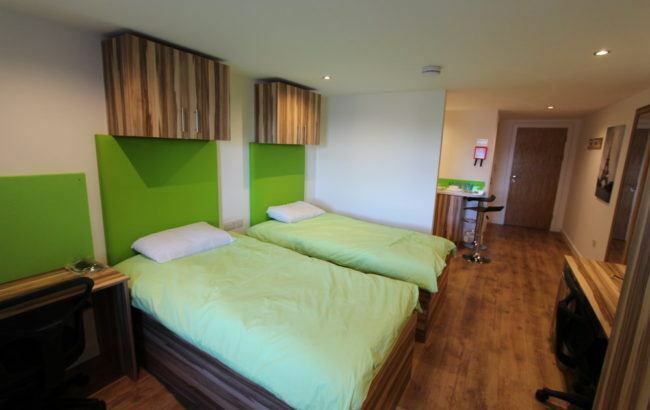 Each self contained studio is furnished to a high standard providing all modern facilities such as Smart TV’s, complimentary Wi-Fi, double beds, luxury en-suite bathrooms and fully integrated kitchens including washer/dryers. 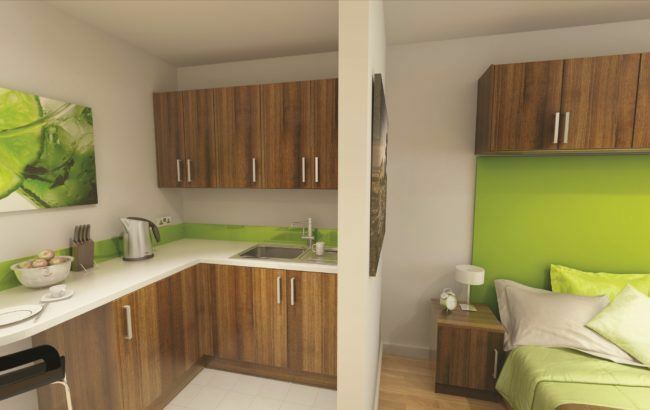 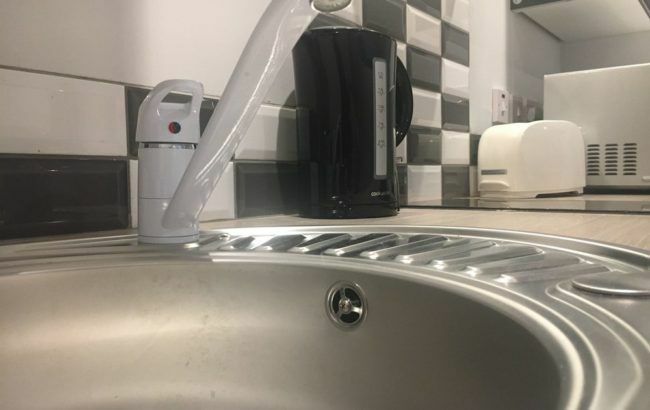 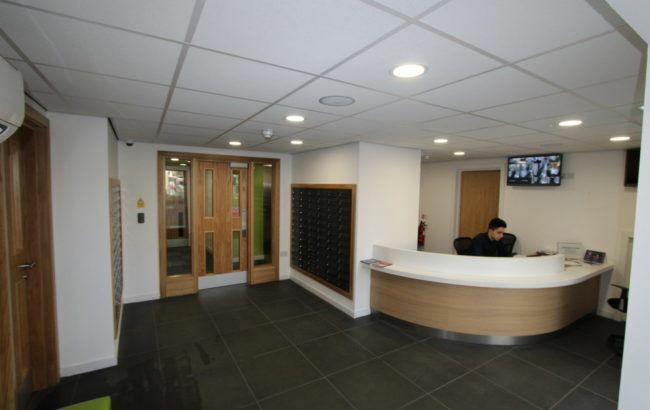 Brand new luxury studios that provide all modern facilities such as Smart TV’s, complimentary Wi-Fi, double beds, luxury en-suite bathrooms and fully integrated kitchens including washer/dryers. 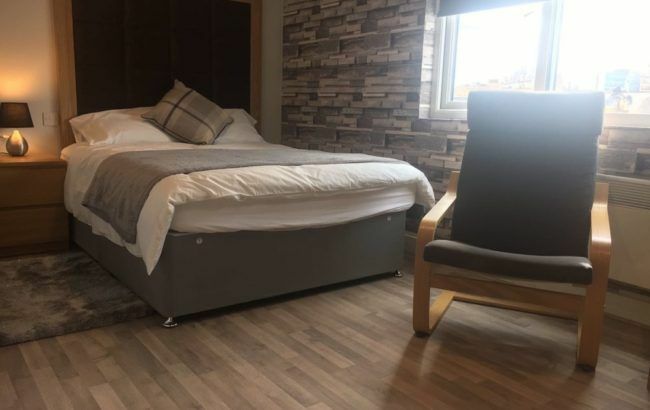 The Executive studio includes a luxury headboard, chairs, curtains, crockery, cutlery, rugs, bathroom packs, free weekly cleaning and a welcome food hamper. 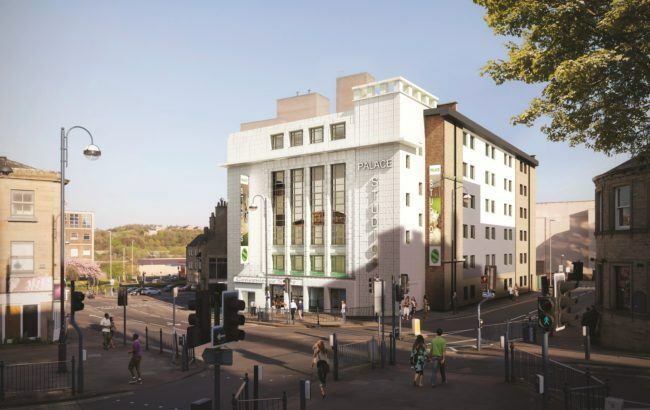 The budget classic is slightly smaller than a classic due to its position in the building. 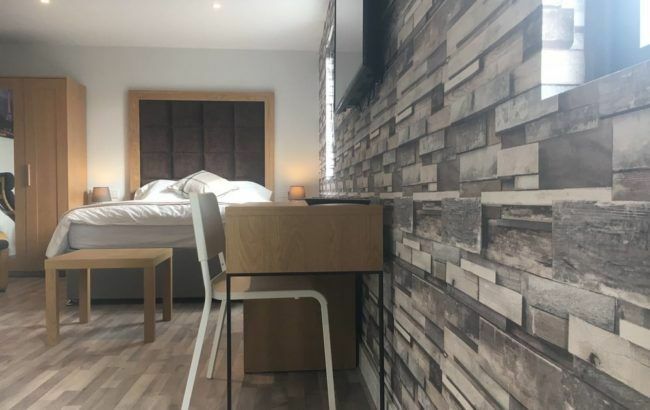 Each self contained studio is furnished to a high standard providing all modern facilities such as Smart TV’s, complimentary Wi-Fi, double beds, luxury en-suite bathrooms and fully integrated kitchens including washer/dryers. 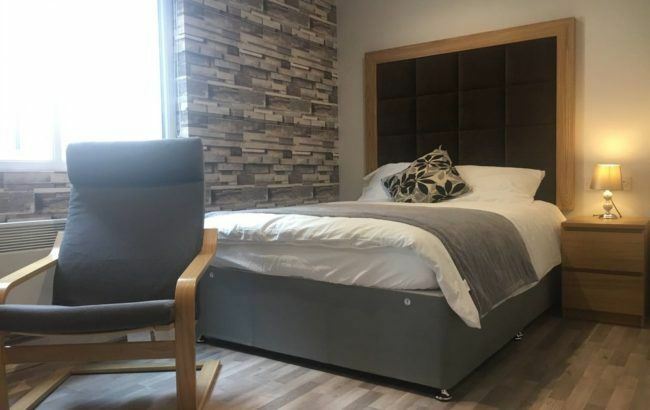 The Elite studio is a brand new luxury apartment that includes a luxury headboard, chairs, curtains, crockery, cutlery, rugs, and bathroom packs. 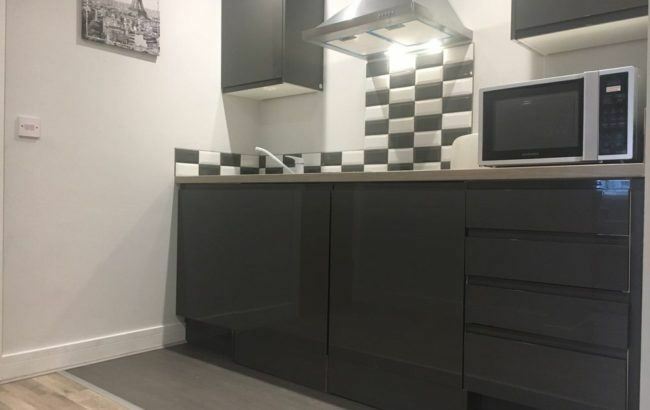 The studio proves all modern facilities such as Smart TV’s, complimentary Wi-Fi, double beds, luxury en-suite bathrooms and fully integrated kitchens including washer/dryers. 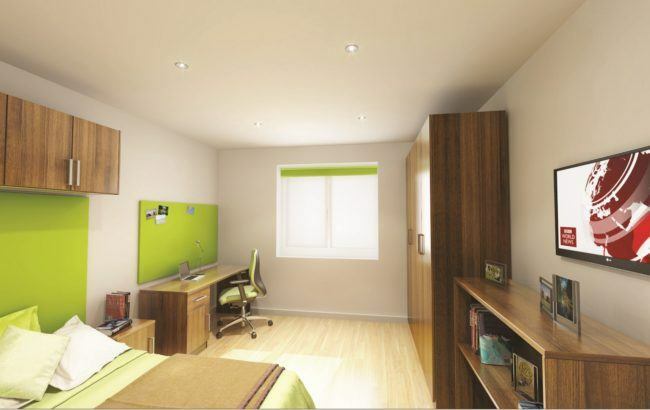 Measuring 26.9 metres squared the studio is spacious and modern. 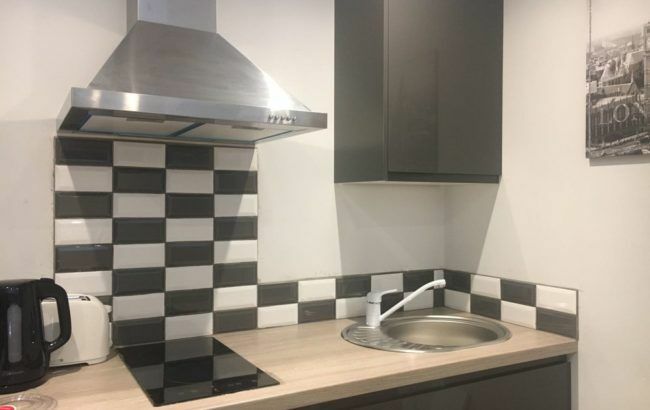 With its brick work wall design and black and white kitchen this studio is definitely worth a viewing. 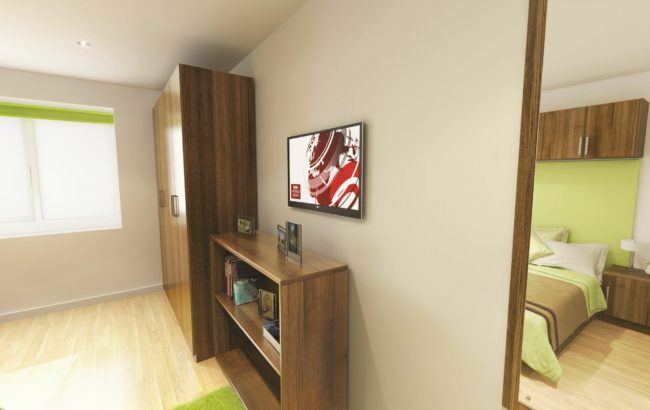 Luxury one bedroom apartment with seperate bedroom , kitchen lounge area and luxury ensuite shower room. 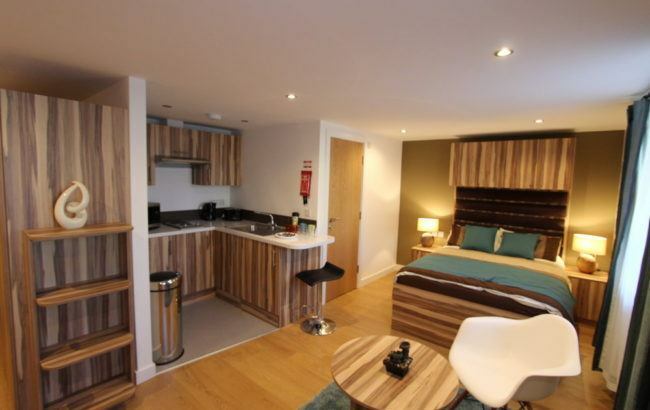 The apartment features complimentary Wi-Fi, fully integrated kitchen with washer/dryer and smart TV. 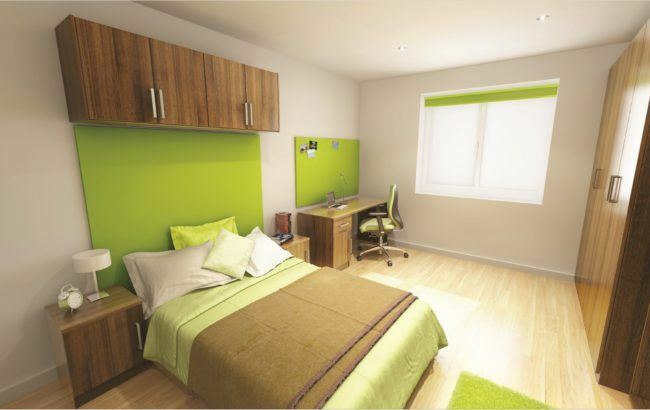 The deluxe studio offers students a high quality self contained unit furnished to a high standard. 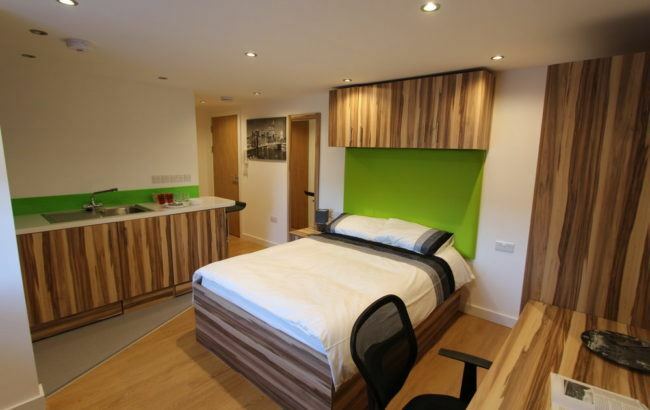 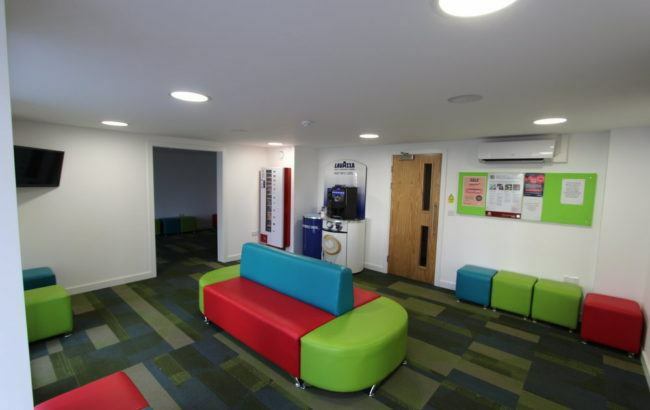 The 25.35 metre squared studio provides students with all modern facilities such as Smart TV’s, complimentary Wi-Fi, luxury en-suite bathrooms and fully integrated kitchens including washer/dryers. 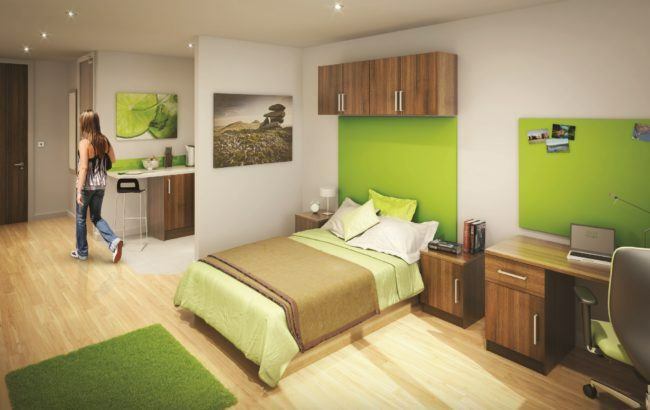 The deluxe studio offers a different layout and kitchen design to the classic. 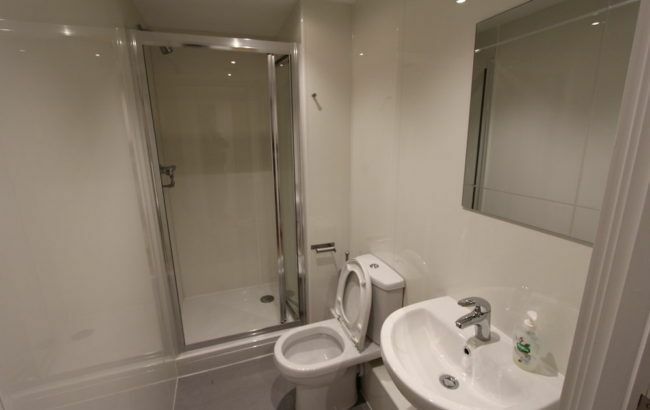 This studio has the same features as the Classic but is in a square shaped design. 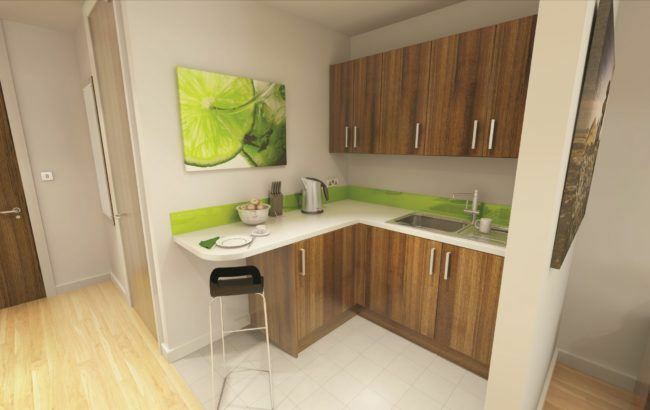 Includes fully integrated kitchen with washer/dryer, en-suite bathroom and double bed.